Print-ready sections featuring TV listings and entertainment that can be adapted for your newspaper. If everyone is on the same page, even once in a while, it makes for a great advertising opportunity. TV Media crafts unique themed sections that provide added value for your newspaper, and a targeted product for your clients. Our designers and writers pull together rich print-ready sections featuring specialty TV listings and focused entertainment news. These sections can easily be customized for your newspaper and add so much more to your content. Showcasing all of the TV programming from Thanksgiving through New Year's, this product has a proven history and unsurpassed track record as a great seller. 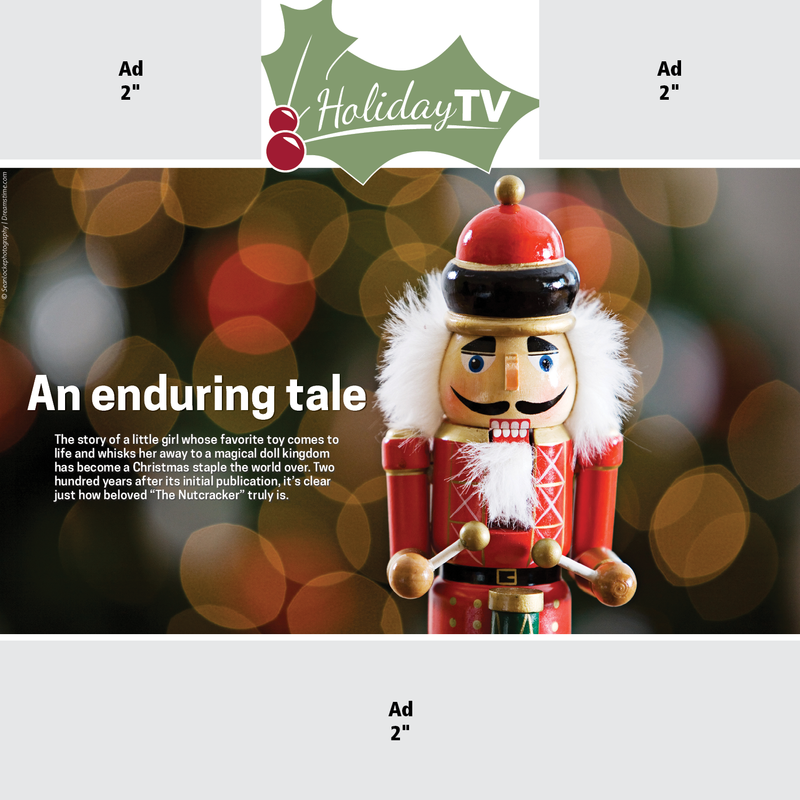 Holiday TV perks up your newspaper advertising at the most important time of year. With a frothy mug in hand and cold weather outside, readers can get holiday-themed shows and specials, plus feature stories, games and photos. Save 50% on Olympic Guide with the purchase of Holiday TV! Showcasing all of the Olympic Games coverage, including athlete profiles, comprehensive TV listings and plenty of ad space for increased revenue. Our Olympic Guide showcases all of the games coverage with expanded profiles and striking photos to inspire your readers, young and old. Your local advertisers will be able to celebrate alongside you and your readers.